Hope you all have had a wonderful Christmas holiday so far. Before I left my house for the holidays, I spent a few days working on a small Christmas setup for the living room table. 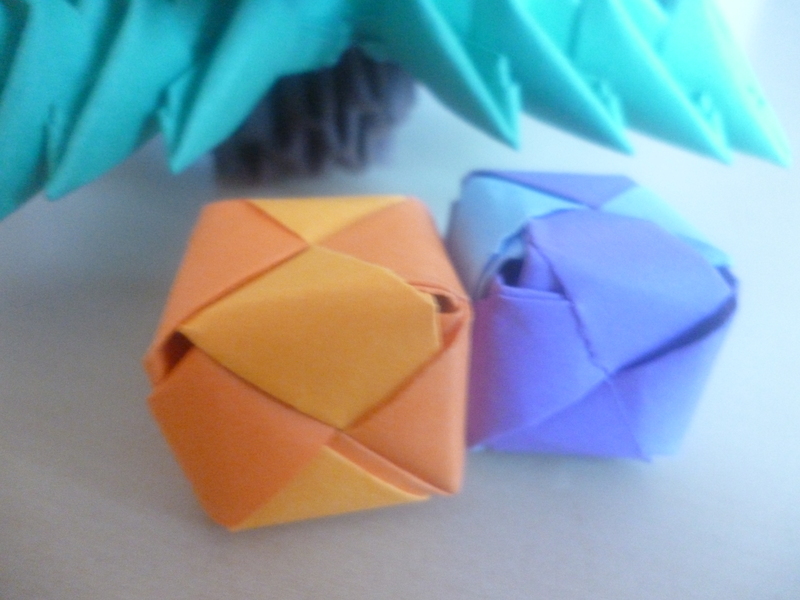 3D origami is quite flexible and allows you to make lots of different kinds of models. You just have to get past the fact that glue is most likely involved and will have to be used, haha. 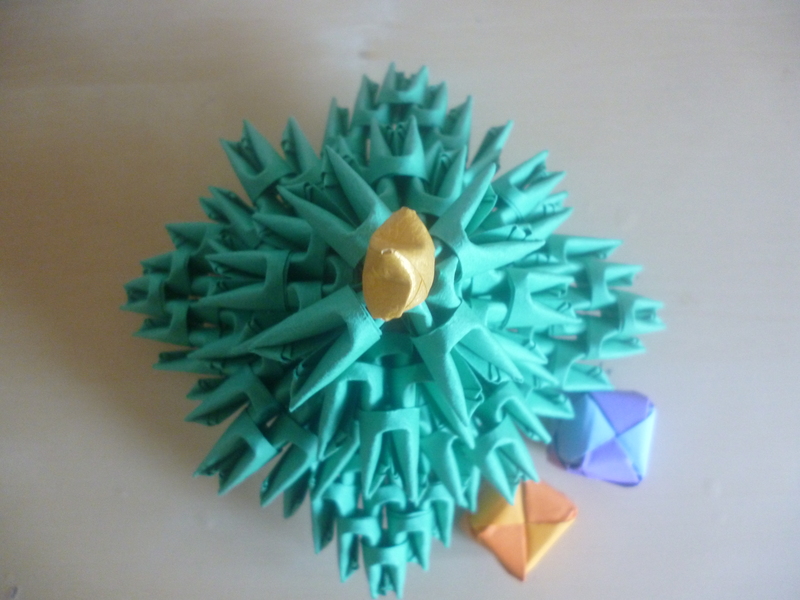 All you need to make this is basic knowledge of 3D origami assembly. You make a “base” of units of varying sizes, then flatten it out and add leaves by adding pyramids of pieces to certain areas. It’s quite hard to explain, but looking at models makes it quite clear. The tree trunk is a standard base of units that hasn’t been flattened out, but pushed towards the middle so it fits the gap. I also made small presents out of Sonobe units. If you want to, you could wrap wrapping and string around the cube to hide the cube, especially if the assembly is lacking, like mine, haha. 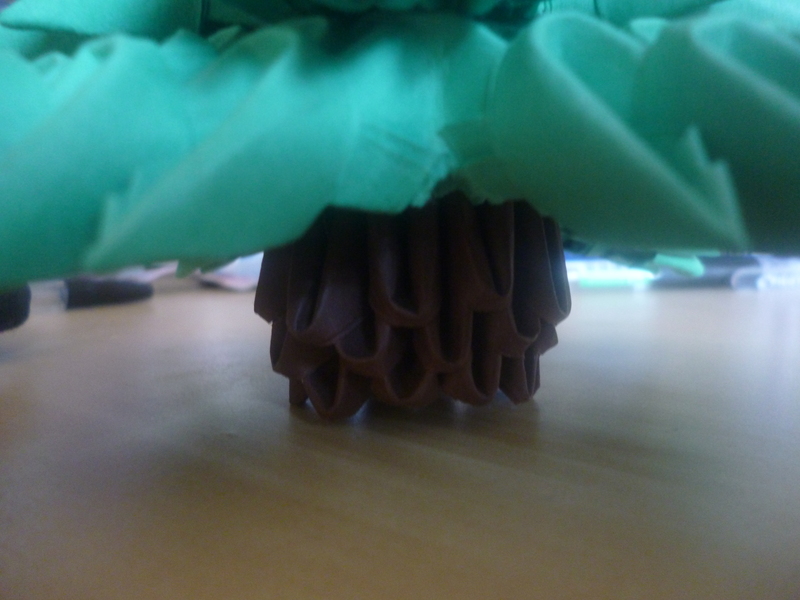 I suppose you could also add pom-poms to the tree as decorations as well, I just didn’t have the time to. 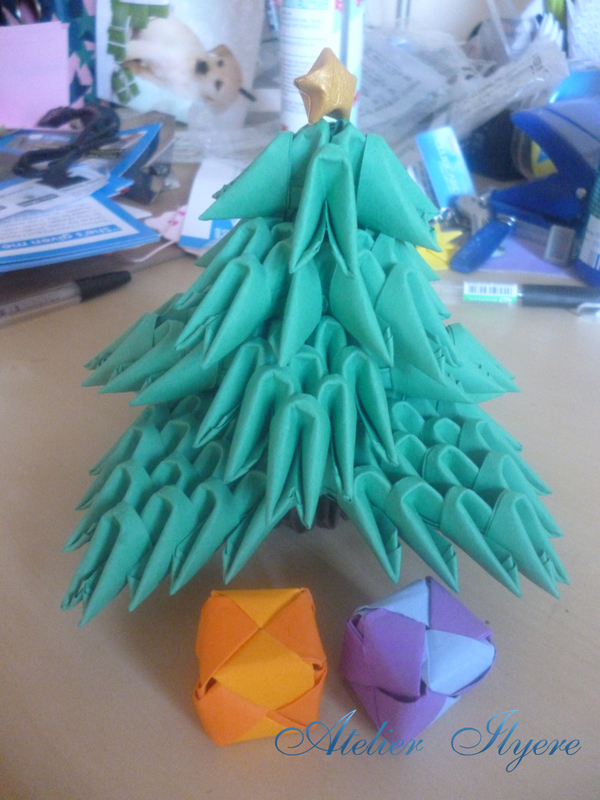 But I did make an origami star and glued it to the top of the tree.